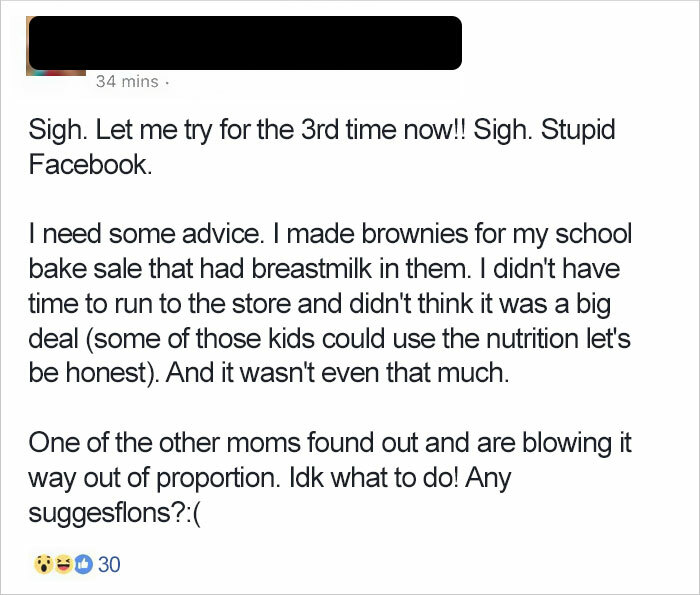 Woman brings breast milk brownies to school bake sale, doesn't understand why anyone's upset. 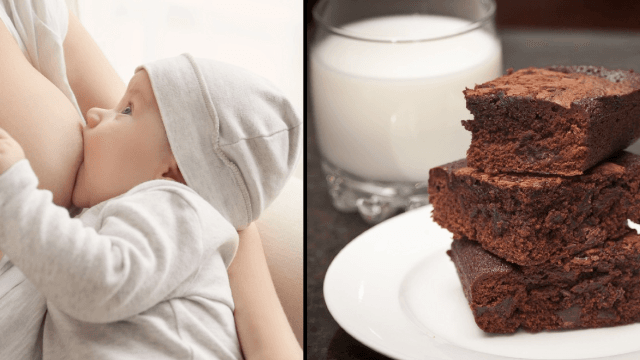 School bake sales are a great excuse to eat unhealthy homemade treats under the guise of "fundraising," but one anonymous mother took the whole "homemade" aspect a little too far after making a batch of brownies with her own breast milk. Eventually the post was discovered and shared by Sanctimommy, a popular Facebook group for moms, where it went properly viral. Okay, sure. Whatever. "Breast is best" and all that, but how about you keep your secretions out of other people's mouths, lady? Damn. Oh and by the way? Thanks for ruining bake sales for all of us forever.